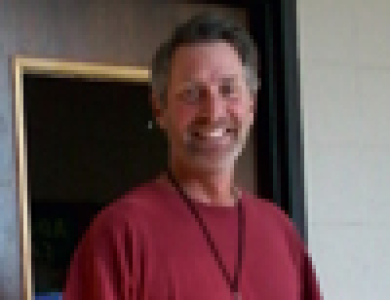 Hello from the Maintenance Department, my name is John McCormack and I have been at St. James since 2015. I live in Eagle since 2001 with my wife Tammy, sons Cole – age 14 and Luke – age 12, and our Chesapeake Bay Retriever Buck and seven chickens. There were ten chickens, but I was told to keep this short. 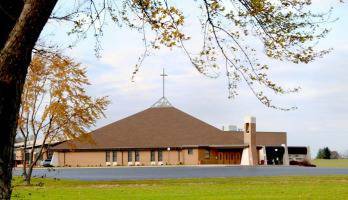 We are parishioners at St. Theresa; my wife is a CF teacher there, when she is not working at a security software company, and the boys are often servers at the Saturday 5:30 pm Mass. Cole is in the 8th grade at Park View Middle School and Luke is in 6th grade at Eagleville Elementary. In my free-time, I enjoy woodworking, hunting and fishing. Our family enjoys spending time fishing in Eagle River. The next time you see me setting up-cleaning up for an event or organizing a parish volunteer event, stop by and introduce yourself!